Speaking at the launch of the 19th edition of the National Medium, Small and Micro Enterprises (MSMEs) Clinic in Enugu, Nigeria’s Vice President Prof Yemi Osinbajo who also doubles as the country’s Head of the Ease of Doing Business Council, said that the Federal Government of Nigeria has approved a 90-day special window to register businesses at a reduced rate of N5, 000 only. This special window is from October 1 to December 31, 2018. The Ease of Doing Business Council which the Vice President heads has a major goal of making it easy for Nigerians to start up their own businesses by ensuring that all bottlenecks which make it difficult for start-ups to thrive are removed. 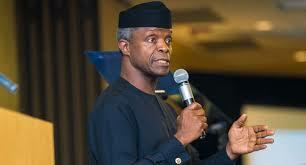 At the launch of the MSMEs in Enugu, Osinbajo said inter alia: “It was observed during some of earlier editions of the MSME Clinics that a lot of MSMEs were finding it difficult to register their businesses as a result of cost. The practice since we began the MSME Clinics is that most agencies offer price reductions especially for registration, and all other pre-investment approvals, during the Clinics.